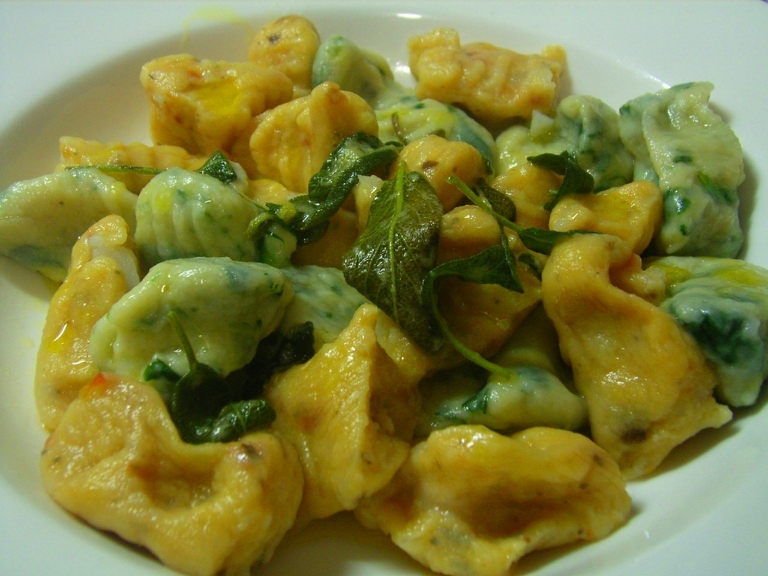 I love eating good gnocchi. They just melt in your mouth and are so light and fluffy. They go with so many sauces, and traditionally served as a first course in an Italian meal. I decided to make two flavours today, to use up the rest of the spinach leftover from this dish (yes can you believe it was still as fresh as the day I bought it! ), but as I didn’t have quite enough for the whole amount I cheated a little bit and used some sundried tomato pesto for half of the dough. They can keep in the fridge for several days like this, or, if you can’t resist, you can cook them straight away. 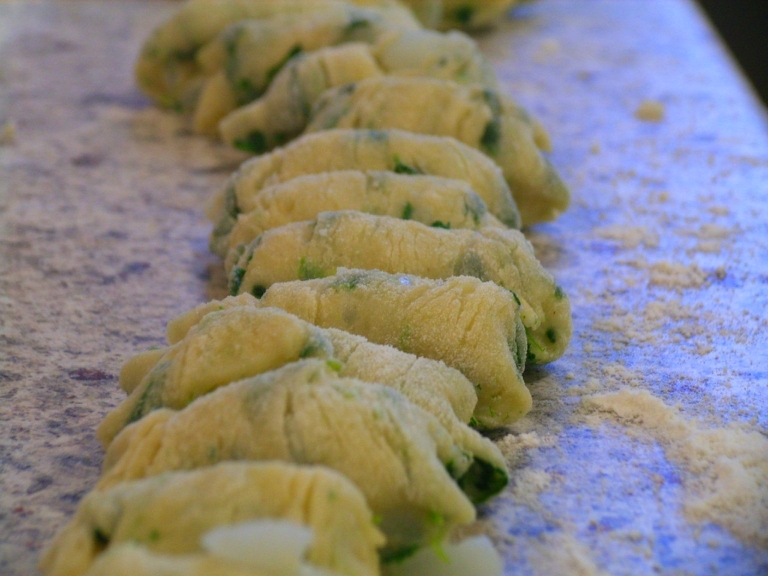 Gnocchi are great because they tell you when they are cooked. No timer needed! Simply drop into a large saucepan of rapidly boiling salted water, and wait for them to rise to the surface. Scoop out & serve with your preferred sauce. 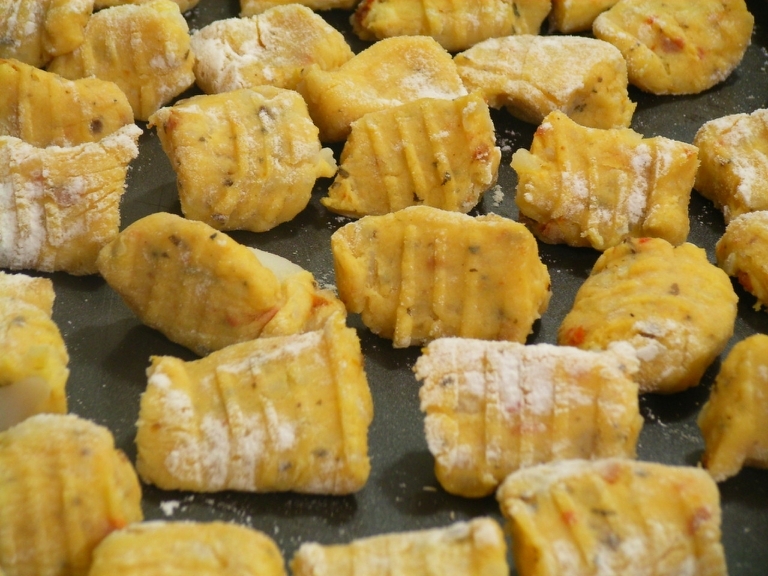 For these I just wanted something really simple, so I melted some butter with fresh sage leaves, infusing the delicate flavour of the sage into the butter, and tossed into the gnocchi before serving. They are just as delicious plain with a sprinkling of Parmigiano Reggiano, or a pureed tomato & basil sauce. Whatever way you prepare them, homemade is always so much more satisfying! This entry was posted on August 16, 2008 at 11:10 am and is filed under Evening Meal. You can follow any responses to this entry through the RSS 2.0 feed. You can leave a response, or trackback from your own site. lauren your photos are superb!! i can virtually taste everything! yum!! The colour is great. 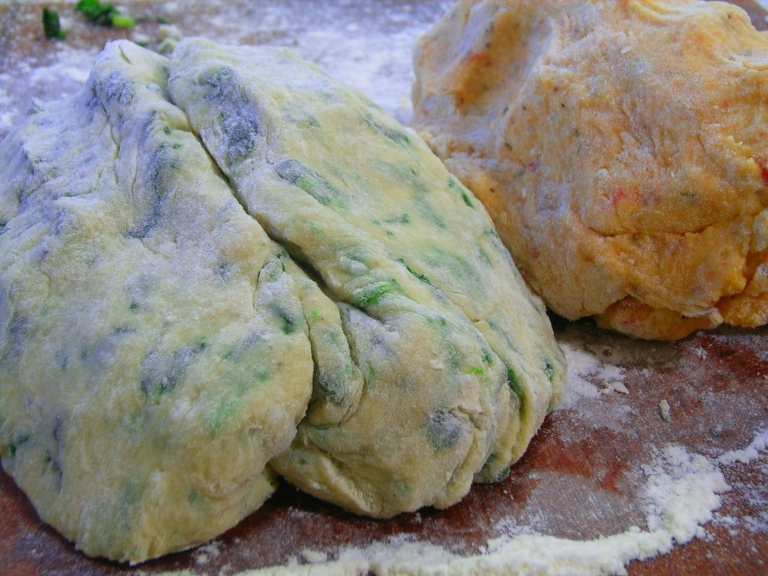 Did you find that the flavour of spinach/sundried tomato came through as well?